Eduardo Eurnekian is a highly successful businessman based in Argentina. With a net worth of US $ 1.9 billion, the Armenian businessman is counted among the top wealthiest persons in South America. His widely acclaimed conglomerate, Corporacion America, operated in several fields including airports, energy, infrastructure, agriculture, etc. 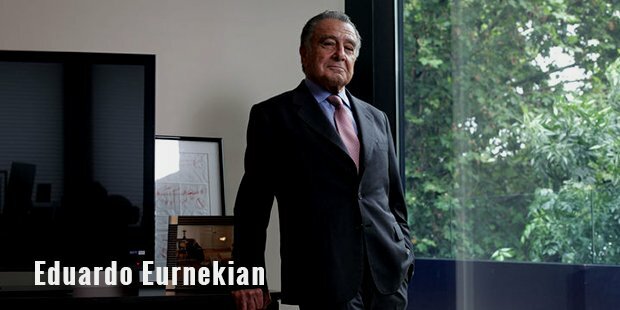 Son of Armenian immigrants in Argentina, Eurnekian is today one of the richest individuals in the country. He leads varied industries in the economy by way of his market cycles and socio-economic development. One of his latest initiative is to build a highway road through Andes Mountains. He is also known to make Zvartnots, a facility dedicated to reviving ancient wine market of Armenia. Eduardo Eurnekian started off his career in the textiles industry, and then tried his luck in the business of cable TV during the 1980s. By the end of 1980s, he became the owner of a number of radio stations, a TV channel and some newspapers. 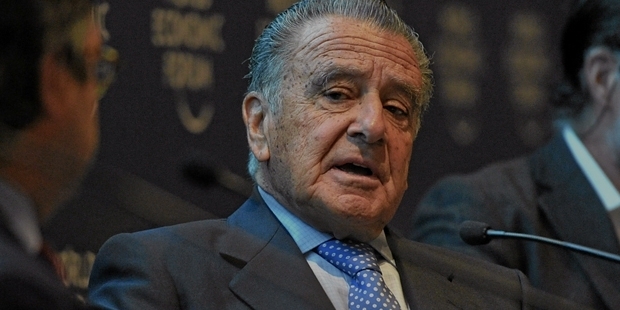 In 1990s, he passed on all his media ownerships as a step towards privatization in Argentina. He sold Cablevision, after which his worth netted $750 million at that time. In 1990s, he directed a consortium under which Eurnekian secured 30 years concession for building and operating the airports of Argentina. Along with his partners, he now has a portfolio of over 50 airports in different countries, with which he receives an annual revenue of $2 billion. His profile also includes the very first airport of Brazil that is privately operated. 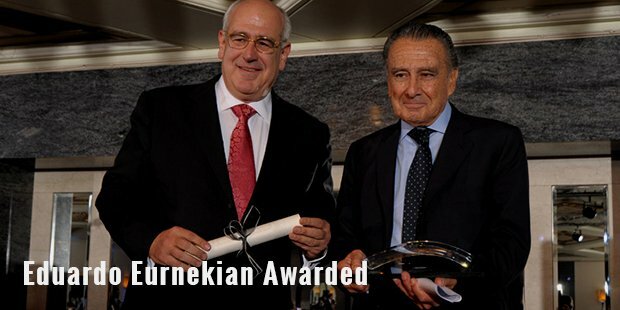 Following the economic crash of Argentina in 2001, Eurnekian purchased assets through Corporacion America, his holding company under which he owns over 260,000 acres of land for vineyards, cattle and crops. The company also owns Unitech Blue (a chip factory), a company dedicated to infrastructure development, a bio-diesel production business, and Armenian land dedicated for the production of wine and fruit. Eduardo Eurnekian has also been trying to enter into Argentina’s gas and oil industry, where he is involved in production, transportation and exploration. In the year 2011, he sold more than 20 duty-free shops of Argentina, Uruguay, Armenia, Ecuador and Martinique worth $957 million to Dufry AG in Switzerland. Eurnekian is a chronic bachelor, and has no children. His two nephews, Hugo and Martin Eurnekian, presently help him manage business. Martin serves as the president for Puerta del Sol, a company dedicated to managing airport business of the group in Uruguay. Hugo has undertaken the project of constructing Bioceanico Aconcagua, a tunnel through Andes, in which more than $3 billion need to be invested.